Make your holiday party more fun than anyone dreamed it could be! 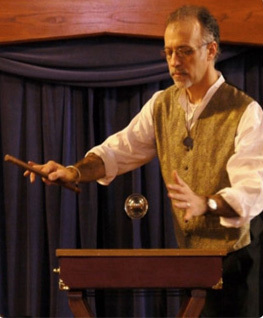 Let our Holiday Entertainers help you put on an event your guests will remember all year long! Planning a company holiday party? An end of year bash? Let the entertainers from About Faces help you make that happen. Our caricature artists will draw your guests a party favor that they’ll remember forever, and entertain everyone watching at the same time. 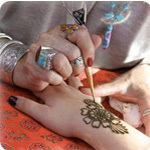 Our henna artists create unique and exotic tattoos that can last as long as two weeks. Our magicians add a touch of class, and our clowns and face painters and balloon sculptors keep any children you might invite along entertained. Is it specifically a Christmas party? Then we can get you a Santa, or elves, or even Christmas carolers! 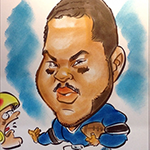 Captivating Caricature Artists – Great for Holiday Parties! "Our holiday party was last night, my surprise to our guests was having Justin there to draw their caricatures. It was such a hit! Justin was pleasant to everyone, made them feel comfortable worked steadily the entire time he was here. The kids were fascinated with his skill, so most of the time he had quite a crowd watching him work! Above all, his skill as an artist was exemplary. He was able to capture personalities and render delightful caricatures. We are so happy we had him here as part of our celebration. Thank you for working with me to get everything arranged last week. I will definitely be recommending About Faces and Justin to my friends and family!" "As in the past we had a great experience with your caricature artists at our organization’s party. 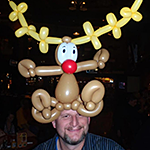 Mark G is always a favorite of ours, he always does a great job and we look forward to using him again in the future.Sincerely,"
"I wanted to follow-up and l let you and Nito know how much we enjoyed him at our holiday party at the Hilton in Monterey on December 6th. Nito is very talented and has a very nice personality. He did a great job. We enjoyed having him at our party. Thank you!" "Bob was wonderful and did an AMAZING job, everyone was thoroughly impressed. He provided the upmost professional service while making us all feel comfortable during the process. You are very lucky to have such a talented and professional artist representing your company. Once again Bob did a phenomenal job and we would recommend him to anyone!" "The caricature artists we had at our holiday party were a big hit. People were reluctant at first, but once a few people became interested, there was a line all night. The two artists we had were great. They showed up early and treated all of the attendees warmly and with patience. Thank you for a smooth booking and helping us hold a successful event."